Smith's Small Engine Repair Service is highly knowledgeable in repairing outdoor equipment such as lawn mowers, chain saws, weed eaters, snow blowers, log splitters and many other types of outdoor equipment. We have been in business for over fifty years and continue to serve our customers the same personalized customer service to this day. We are a family and veteran owned business located in Southern Maryland. Contact us or Schedule a Pickup and Delivery Online for FREE! Some jobs are "Do IT Yourself" jobs. Now at www.smithsrepair.com you have the option t,o look up your parts and order them here! Now's a great time to get your winter equipment ready. We're prepping now for snowblower repairs, generator repairs and chain saw repairs. You should too! Buy the parts you need and get to work! 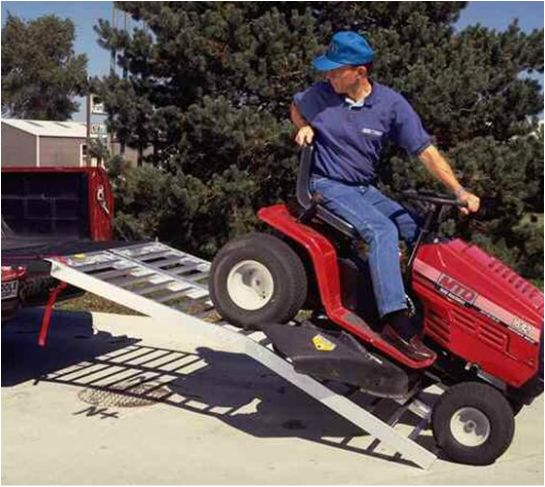 We have the necessary equipment required to transport your outdoor equipment. Click here for further details. You may also schedule your pick up and delivery online.